Very misleading title and lots of disappointment. I went with the family and my father actually fell asleep during the show. We were under the impression that the film would focus on "Extreme Weather", but instead was a more documentary style film about global warming and it's effects. Other than tornadoes, it doesn't actually focus on any weather. Melting glaciers and forest fires ARE NOT WEATHER! These are effects of weather, and not what we expected. 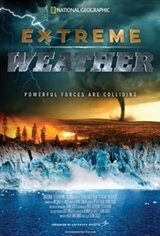 No offense to the filmmakers, but "Ecological Effects of Extreme Weather"would have made more sense. Very disappointed in the film overall, a total waste of money. There are far better films about global warming.